What are the distinctive differences between Scrum and Traditional Management Methods? 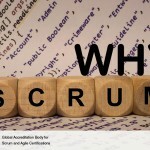 Scrum methodology requires a change in mindset from traditional methods. 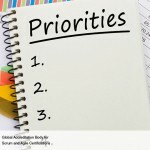 The central focus has moved from scope in Waterfall methods to achieving maximum business value in Scrum. While in Waterfall, cost and schedule are altered to ensure the desired scope is achieved, in Scrum, quality and constraints can be altered to achieve the main objective of attaining maximum business value. The Waterfall model is suitable for ordered and predictable projects in which all the requirements are clearly defined and can be estimated accurately, and in most industries, such projects are dwindling. Changing requirements from customers have led to an increased pressure on businesses to adapt and change their delivery methods. Scrum methods are more successful in the current market, which is marked by unpredictability and volatility. 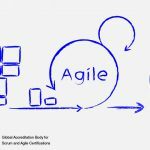 Scrum methods are based on inspect-adapt cycles as opposed to the command and control structures of the Waterfall method. Scrum projects are completed in an iterative manner wherein the functionalities with the highest business value are completed first. Various cross-functional teams work in parallel across Sprints to deliver potentially shippable solutions at the end of every Sprint. Because each iteration results in a shippable solution (which is a part of the overall product), there is a measurable objective that the team has to accomplish. This ensures that the team is progressing and the project will be completed on time. Traditional methods do not present such timely checks and, therefore, result in situations in which the team might get off schedule and end up with a lot of work toward the end. As the customer regularly interacts with the team, the work completed is regularly reviewed; thus, there is assurance that the progress is per customer specifications. However, in Waterfall there is no such interaction as the work is carried out in silos, and there is no presentable functionality until the end of the project. In complex projects, where the customer is unclear about what they want in an end product and functionality requirements keep changing, the iterative model is more flexible in ensuring that these changes can be included before the project is complete. However, when completing simple projects with well-defined functionalities, and when the team has previous experience completing such projects (therefore, estimation would be accurate), the Waterfall method can be successful. Given below is a table to get a better idea about the differences in Scrum and Waterfall. 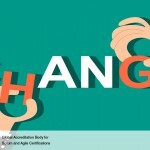 Is ‘change’ readily accepted in Scrum?